Nutritional Information Table - MAC'S OYSTERS LTD. Enjoy Shellfish? Grown in cold, pristine, nutrient rich waters, Canadian Farmed Shellfish are renowned worldwide for their great taste and fresh flavours. Whether for a mouthwatering appetizer or a gourmet dinner, shellfish are a popular choice as a delicious, nutritious source of protein, iron, omega 3, B and E vitamins, zinc and low in cholesterol. Oysters are an excellent source of Zinc. Zinc is a proven immunity booster and may therefore help prevent colds and flu. Zinc helps proper brain functioning and promotes mental alertness. Oysters and clams are a great source of dietary minerals. Vitamin B12 is essential for maintaining nerve fibres and making red blood cells. 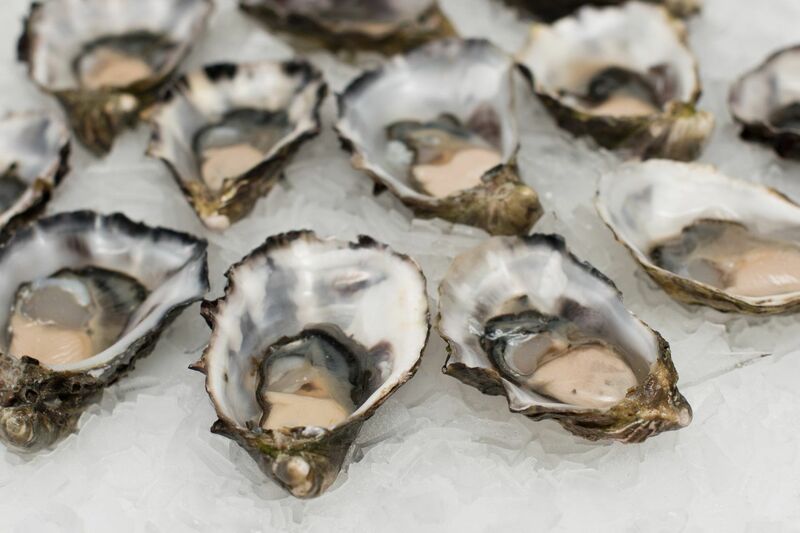 Pacific Oysters (raw): A serving of 3 oysters (approximately 85 grams) provides 69 calories, 8 g protein, 2 g fat (0.5 g saturated), 90 mg sodium, 42 mg cholesterol, is an excellent source of iron, zinc, copper, manganese and selenium, and a source of magnesium, phosphorus and vitamin C. They also contain some calcium. View the Nutritional Facts Website. Search the USDA National Nutrient Database for Standard Reference. "Farm-Gate" Pricing and Quality for our Clients - Importers, Wholesalers, Distributors World Wide.